For Exhibitors List click here. Enjoy a Quality Gun Show! With the finest gun and knife dealers in the South! More than 60 Exhibitors, 225 tables! Come buy, sell, and trade! Thousands of new/used handguns and rifles. Discount ammo, gun parts, holsters. New, used, and custom-made knives. Archery goods. Police tactical supplies. Professional gunsmith and engraver on-site. Bring your gun for repair or trigger adjustment! Free passes to Shooting Ranges! 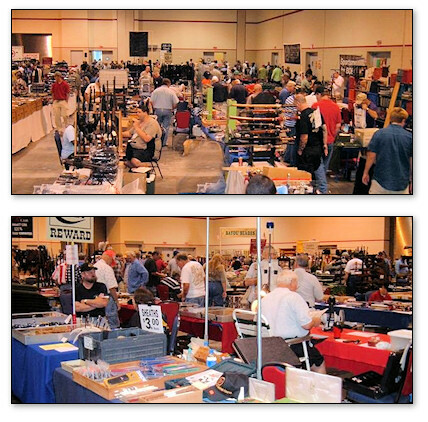 ©Copyright 1996-2019, SLIDELL GUN and KNIFE SHOW . All rights reserved. Information subject to change without notice.